The last time around, we—”we” meaning Kars4Kids, of course—gave a small grant to a local chapter of this worthy organization, the Southeast Washington chapter of GOTR. This time we stretched our wings a bit and gave a small grant to Girls on the Run International. Can you tell we really like what GOTR is doing for girls? Healthy and confident anyone can understand. But what about joyful? Why is that important? 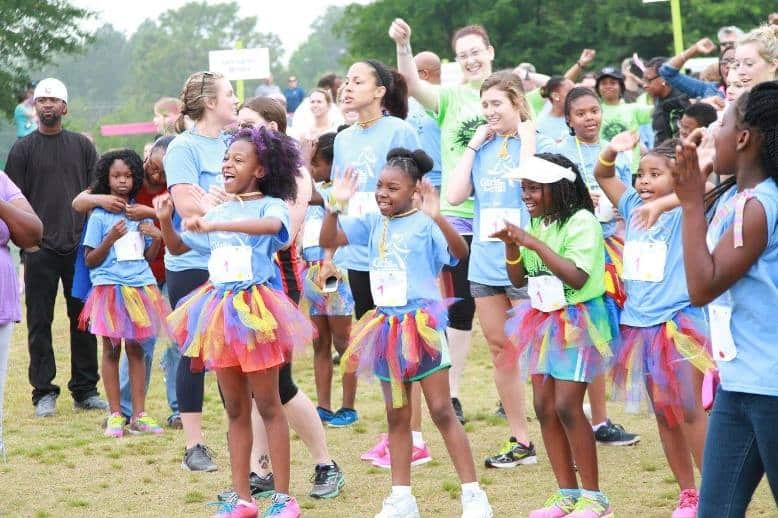 Why is it first in the list of ways GOTR wants to inspire girls? 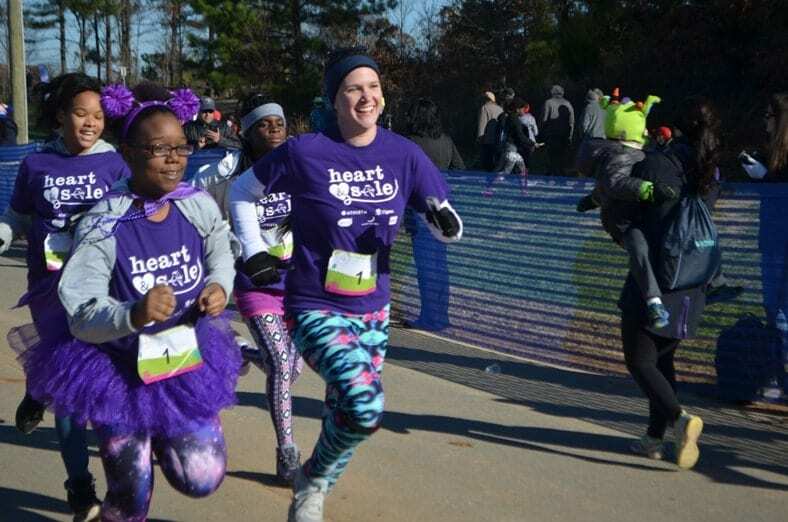 Elizabeth Kunz: At Girls on the Run, we focus on both physical and emotional health – or whole health – as we realize the significant connection between the two. We want our girls to understand that it is normal to feel a wide range of emotions, from comfortable to uncomfortable, and that no one can expect to be ‘happy’ all the time. More importantly, we want to make sure that our girls understand the difference between happiness and joy. Happiness is externally triggered and is based on other people, events, things, and places. Joy is more consistent and is cultivated internally. It comes when you make peace with who you are, why you are and how you are. Joy is not dependent on our circumstances. We want our girls to recognize the inner power they possess to be joyful, especially when confronting difficult experiences as we all face challenges in the course of our lives. When we recognize our true inner strength and resilience, we are able to overcome whatever obstacles may come our way and maintain our joy. What obstacles tend to stand in the way of a girl’s freedom to pursue her dreams, in our time? Why is it necessary for her to be bold? Elizabeth Kunz: Unfortunately, even today girls and women still experience pervasive and outdated gender stereotypes. Whether conscious or unconscious, these stereotypes unnecessarily limit our choices and can squelch our dreams and aspirations. Personal goal setting is a key component of the Girls on the Run curriculum as it reinforces the power we all have to set and boldly pursue our own dreams. The season’s culminating event, the celebratory 5k, gives participants a tangible opportunity to set and achieve a significant goal and provides a positive framework for future goal setting. 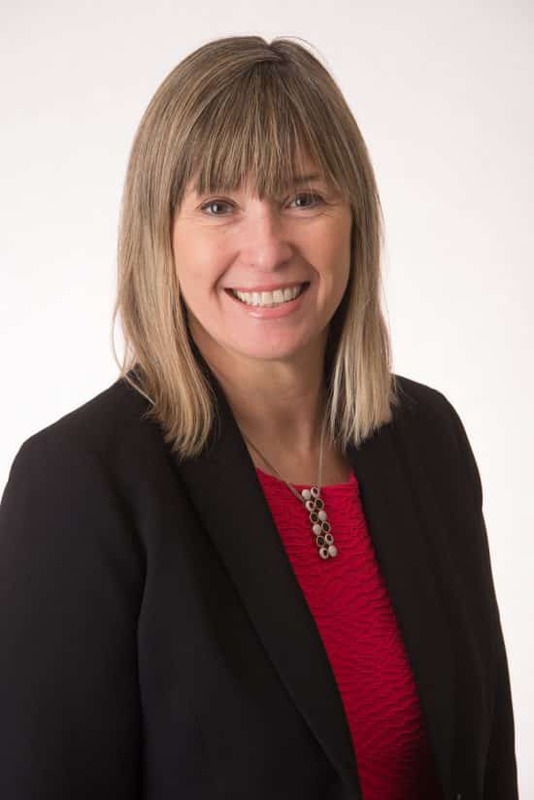 Elizabeth Kunz: Our physical and emotional health are closely linked and our curriculum incorporate fun running games and activities to teach important life lessons like teamwork, gratitude and empathy. Additionally, running is an accessible and inclusive activity for children. There are no uniforms or equipment required – a pair of shoes and a safe space to move are all that is needed. Lastly, it is a great confidence-building sport because it is easy to set and track your own personal goals and progress over time. 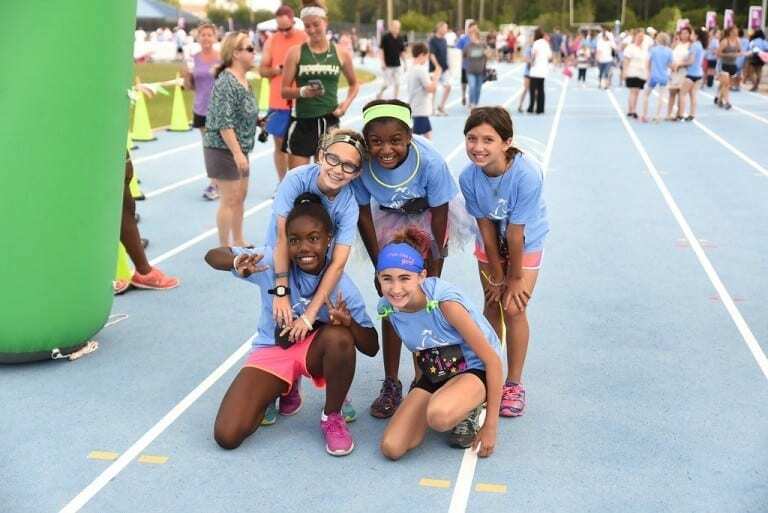 Girls on the Run focuses on personal improvement versus competition and encourages girls to run, jog or walk at their own healthy pace. Kars4Kids: How many girls do you have in the program at this time? Elizabeth Kunz: Over 200,000 girls in all 50 states will participate in Girls on the Run programs in 2016 and the organization has now served over 1.2 million girls since its inception. 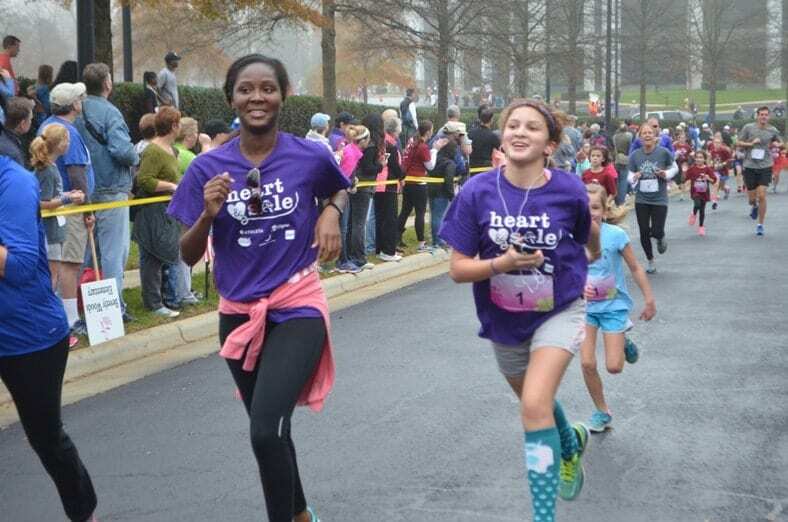 The majority of the girls we serve are in elementary school and we are excited to see the significant interest in Heart & Sole, our new middle school program. With its girl-centered approach, Heart & Sole gives girls a safe space to talk about what’s important to them while learning life skills for adolescence and beyond. Kars4Kids: We love that the staff at Girls on the Run International (GOTRI) have photos of themselves as girls which then switch to their adult photos when you hover over them with the mouse. Tell us about that. What is the significance of that gesture? Elizabeth Kunz: It is a small way for us to always remember how we each felt when we were the age of the girls we serve. Our childhood beliefs and experiences inevitably shape who we become and we can spend years trying to overcome negative thoughts formed early in our lives that do not serve us as adults. Every day, we hear from women who say, “I wish this program was around when I was younger,” and we agree! It is incredibly rewarding for our volunteer coaches to facilitate the lessons as the life skills we teach are valuable whether you are 8 or 80! Additionally, because we have been around for 20 years, we love that we now have staff members and volunteers who were actually participants when they were young! Kars4Kids: We are loving that GOTRI cape! How did you come up with that? Is it a popular item? Elizabeth Kunz: The cape is a fun reminder of the power we all possess to soar to new heights. It represents joy and confidence and shows the world that we can be our own superheroes. And yes, it is consistently one of the bestsellers in our online shop. Kars4Kids: Can you tell us a story about one of your girls—how she changed as a result of completing a course with GOTR? Girls on the Run has changed my life. I’ve been running for three months. I’m learning that rumors are bad. All of the coaches are very nice and helpful. And I feel better about myself. I can feel my body getting stronger. I have always felt weak. I have always been the smallest in my class and am often sick. When I was born, I weighed 1 pound and 5 ounces. But since joining Girls on the Run I don’t feel small anymore. I am a strong girl and my size doesn’t matter. In our 5k I came in last place. But I didn’t feel bad, I felt good because I finished. I would like to thank Girls on the Run and coach Shier for believing in me and helping me believe in myself. Girls on the Run has been an inspiration. When I first started, I thought it was all about running, but it’s about making the right decisions in life. In third grade, I didn’t have many friends until I started Girls on the Run. I started making great friends that I can have a conversation with. I felt I was a weak person and always doubted myself. Now every day, I try to have a confident attitude and a smile on my face. In my first 5k, I came in last place. After 8 seasons, at my last Girls on the Run 5k, I tied with an amazing person Cerina! We both made first place – we did not want to race each other so we decided to tie. Coach Shier taught me to make wise decisions, and how to love not only my family, but others I meet. I guess that was a lesson in bravery since everyone used to scare me. She taught me how to love myself and to be proud of myself. Coach Shier is my inspiration. 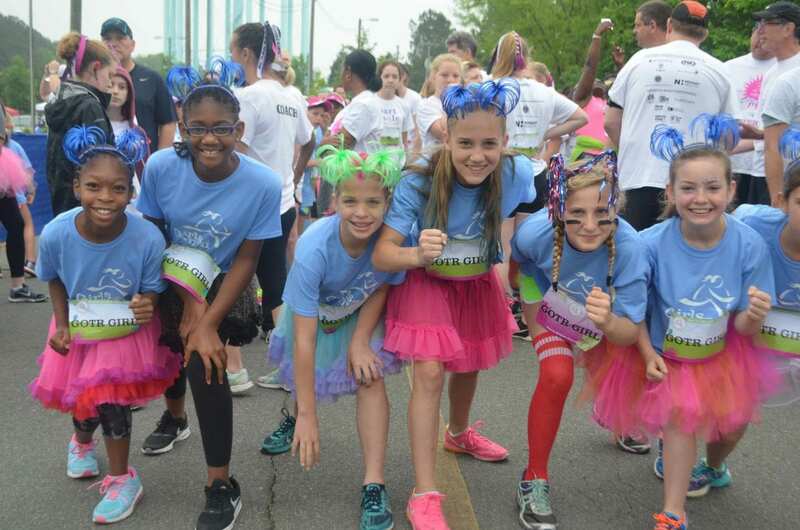 Kars4Kids: GOTRI went from 13 girls to 185,000 girls in 2015. To what do you credit your success? Elizabeth Kunz: Our success has been possible for many reasons. First and foremost, we have been able to thrive due to the dedicated staff, volunteers and donors who bring our mission to life each and every day. In particular, over 100,000 individuals who are passionate about making a positive difference in the lives of girls serve as volunteers each year. Secondly, we have been deliberately mindful about leading the organization in a way that always honors our core values. Our core values are the heart of the organization and no decision is made without first ensuring that it aligns with and reflects our values and culture. Lastly, our intentional curriculum and formal volunteer training distinctly separates us from all other youth programming. There is no other national girl-only physical activity-based positive youth development program that formally trains its coaches on how to create positive relationships and a caring climate while using its rigorously evaluated curriculum to teach life skills. The purposeful effort we have put forth with both our curriculum and training has made the positive outcomes we see in the lives of the girls we serve possible. Kars4Kids: What’s next for GOTRI? Elizabeth Kunz: We are dedicated to ensuring that our program is accessible to any girl who wants to participate. Earlier this year, we began to formally assess barriers to programming and hired a Director of Access and Inclusion to identify and develop the resources and relationships that are necessary to overcome these obstacles. Now more than ever, we are committed to our vision of a world where every girl knows and activates her limitless potential and is free to boldly pursue her dreams.